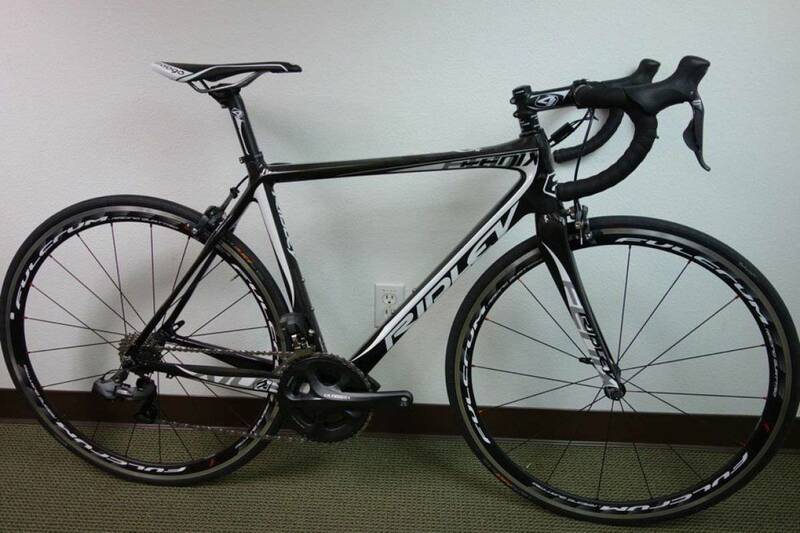 New 2013 Ridley Fenix Di2 carbon road bike. Size-small. Would fit someone from about 5'6"-5'9" roughly. Effective top tube-54.5cm, actual top tube-53cm, head tube-145mm. Standover-30"/76.5cm. 17.3lbs exactly on my scale. Full Ultegra Di2 electronic shifting. Ultegra crankset-compact. 50/34 rings. 170mm crank arm length. The electronic shifting has proven to be super reliable and easy to use. I've had Di2 on several of my own bikes and I'll never go back to mechanical shifting! Never worry about running out of power either. I only have to charge the battery about once a month even with heavy use. The Fenix is an excellent all-around road bike. You can race it but it won't beat you up after a long training ride or Fondo.